Wrought iron swimming pool fences provides a combination of a modern look with high quality materials. Choosing a wrought iron fence for your swimming pool means that you will have a secure and safe way to enjoy your summer playground. There are many options in terms of functionality, look and style to choose from. Each fence is built to your unique needs and desires, and will create a safe environment for your children and pets all year long. There are a wide variety of options and choices to fit your needs and your budget, while keeping your swimming pool safe. Each wrought iron swimming pool fence is designed and fabricated to your exact specifications, and will be customized for your exact needs. 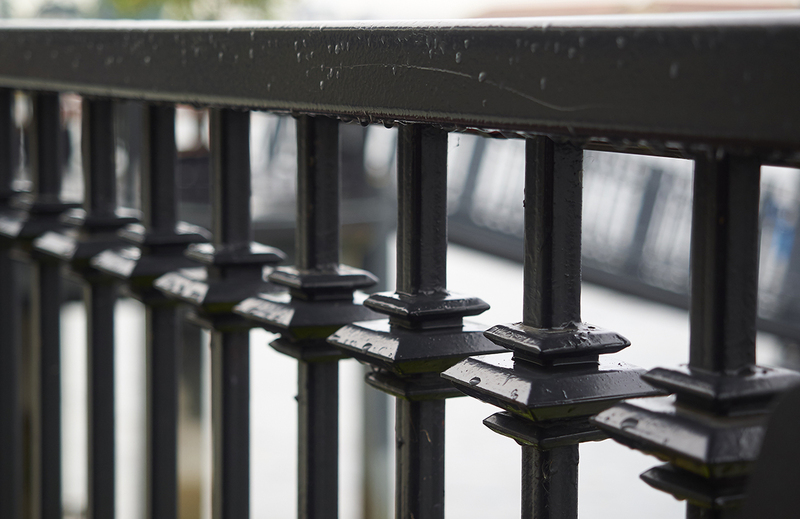 These wrought iron fences may include options such as a mesh lining which is coated to ensure protection against the harsh Las Vegas summer sun. You can choose from any number of color and style options and gates to match. The wrought iron fence is perfect for a family with children as the fence is specifically designed to prevent children from being able to enter the pool area themselves. Also, since there is nothing for them to put their feet on to support them and help them over the fence, they are unable to climb them either. Our custom designed wrought iron swimming pool fences are the absolute strongest and most tested materials and components in the industry. Under normal circumstances, our fences are not going to bend or break or tear when your little one starts exploring. Why Choose Wrought Iron Pool Fencing? The cost, versatility, visual appeal and durability are just a few reasons of why the convenient wrought iron and mesh pool fencing is the best choice for residential households around the world. 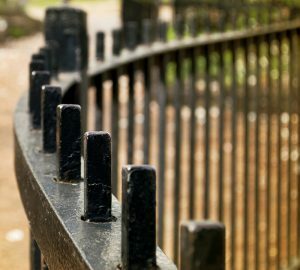 The safety that a wrought iron pool fence will provide to your loved ones and anyone who has access to your backyard is immeasurable. By having a pool fence from Safe Defenses, you are providing an extra barrier between your loved one and the swimming pool. All pool fences includes installation and materials. A wrought iron and mesh swimming pool fencing from Safe Defenses is sure to provide your home safety, security and peace of mind knowing that all little ones are safe this summer season and throughout the year.